Fruit Recipes – Get Cooking! I recently got a fun new kitchen “toy” to enjoy and I’ve been doing just that. It’s a popsicle molds set and, trust me, you don’t want to muddle through the rest of the summer without your own. I’ve made quite a few varieties but have to confess that it’s hard to beat iced coffee, almond milk, and a splash of vanilla syrup. It makes a Heavenly latte popsicle. I’ll add more recipes in the coming days, but here’s one you’re sure to love. It’s from Terra’s Kitchen (Fresh Meal Delivery Service) and the popsicles are almost too beautiful to eat. I have no idea where these particular obsessions came from, but there you have it. 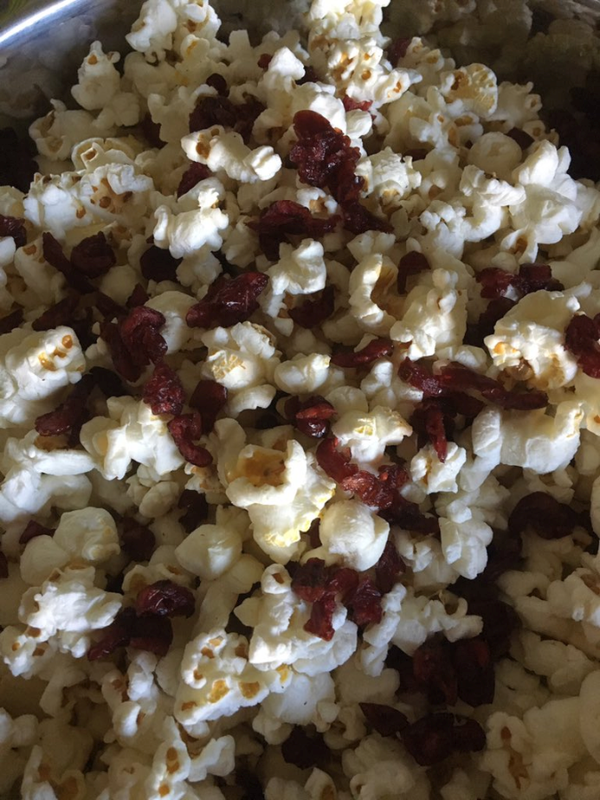 I recently incorporated each one into a delicious (and I do mean delicious) snack. However, if you double up on the ingredients, it makes a perfectly healthy, filling, and… let’s face it.. gorgeous breakfast or brunch. This is one of those “recipes” that isn’t even a recipe. It’s more of a “Take this… then, take that… then add this….” and, you know what, busy lives need more of these non-recipe recipes. Grab a bowl or even a jar – I love jars because they’re so darn cute. Plus, when the ingredients are pretty, I kind of dig being able to see them. Place a layer of frozen raspberries in the bottom. Don’t thaw them, they’ll be perfectly fine. They aren’t “ice hard” and pose no danger to your teeth. Add some applesauce – either chunky or regular. I’ve used both and don’t prefer one to the other. 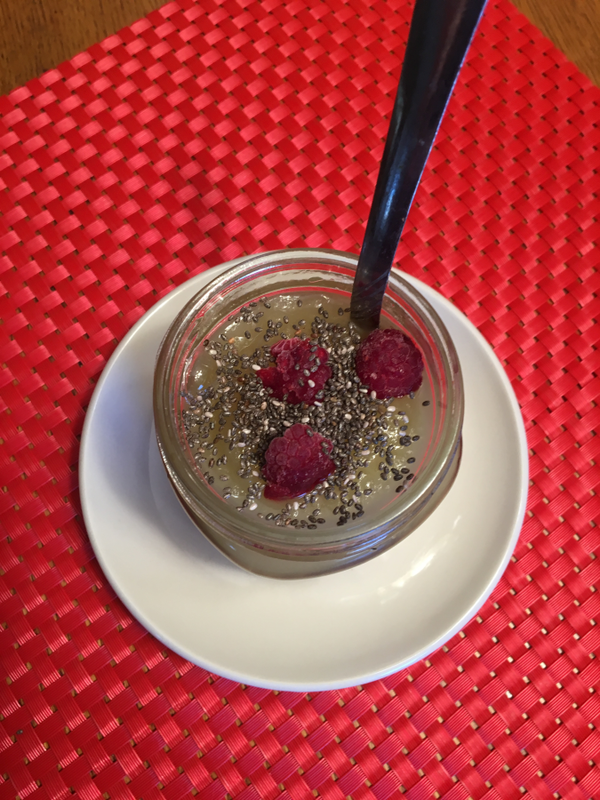 Add a few more raspberries on top along with a healthy sprinkling of chia seeds. If you prefer blackberries or blueberries, by all means, experiment with those. I would imagine either would be delicious! Given the fact that I’m utterly obsessed with raspberries, I haven’t tried either of these berries. I’m not a hater, I simply have priorities. Something I’m wanting to experiment with is another fruit I am crazy about – peaches. 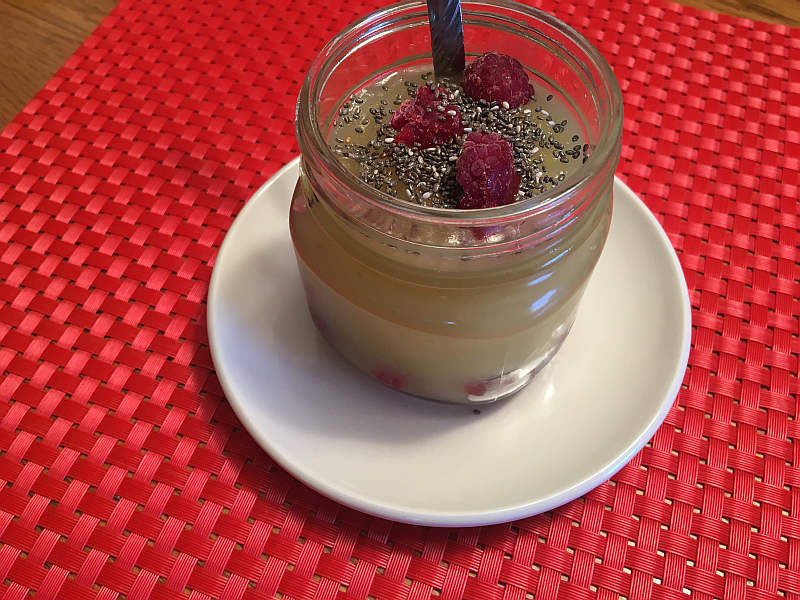 I’m thinking that if I chopped up frozen peaches and used them along with Cinnamon Applesauce (with, of course, chia seeds), the result would be worth writing home about – make that, the result would be worth blogging about. When I try it, if it IS worth writing about, I’ll come back here and tell you all about it. If it’s a bomb… this never happened. 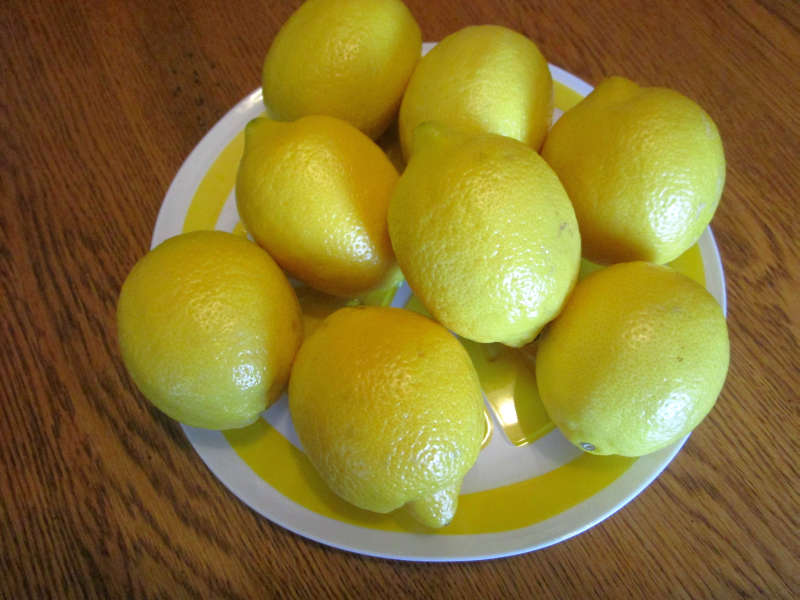 Favorite Uses for a Favorite Obsession: Limoneira Lemons! Whenever I’m asked what my favorite ingredients are to cook with, lemons are always among the first “secret cooking weapons” out of my mouth. They simply make anything and everything fresher and more delicious. There are certain things my kitchen NEVER runs out of and lemons are high on the list – right up there with Kosher salt, black peppercorns, and sweet tea (I’m Southern, after all). 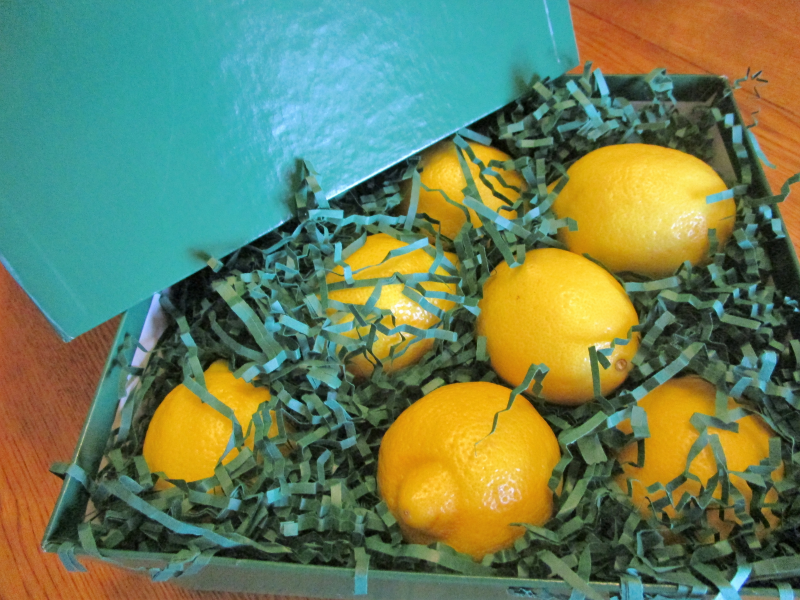 I was recently received a beautiful box of big, gorgeous, fragrant lemons from Limoneira and I’m still flying high over the beauties. I’ve said it before and I’ll say it again – there’s really no good reason to buy salad dressing. Not only is it easy to make, yourself, it’s healthier and much more delicious. One of my favorite salad dressings is so simple I refuse to even call it a recipe. It’s more like steps… baby steps at that. Put your tossed green salad in a single-serving bowl or a large bowl. 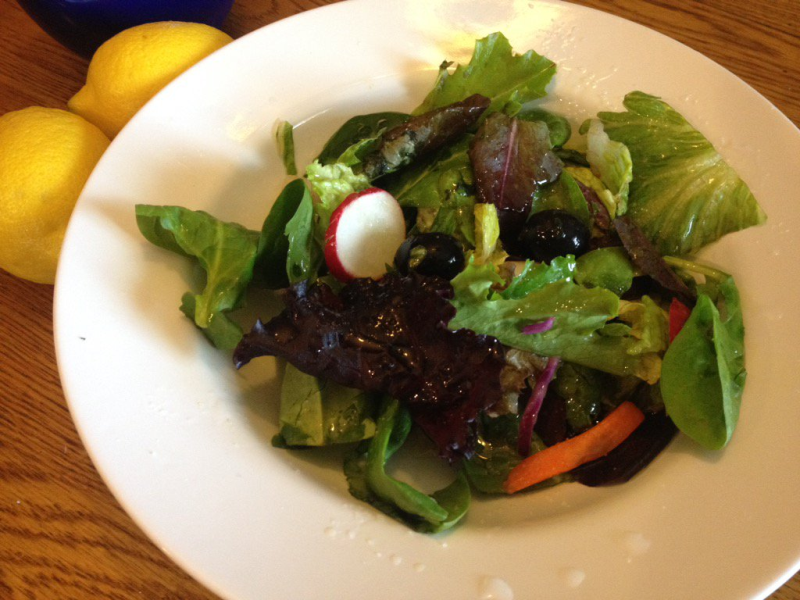 My favorite cast of characters include baby spinach, romaine, radishes, carrots, black olives, celery, and red onion. Drizzle with Extra Virgin Olive Oil – a good quality of EVOO, of course. Sprinkle some Kosher salt over the juice. This makes such a wonderful salad, you’ll swear off mass-produced dressings forever and ever, amen. Wholesome, healthy, easy, and crazy good. Whenever I use lemons for recipes or tea, I always hang onto what remains of the lemon for a perfect “scrubber” for my wooden cutting board. Simply lay out your cutting board, sprinkle it with some sea salt, and have at it with the inside of your beautiful yellow natural scrubber. Each time I do this, I have to admit, I’m a little jealous of the cutting board. It —- looks—– so—– relaxing. 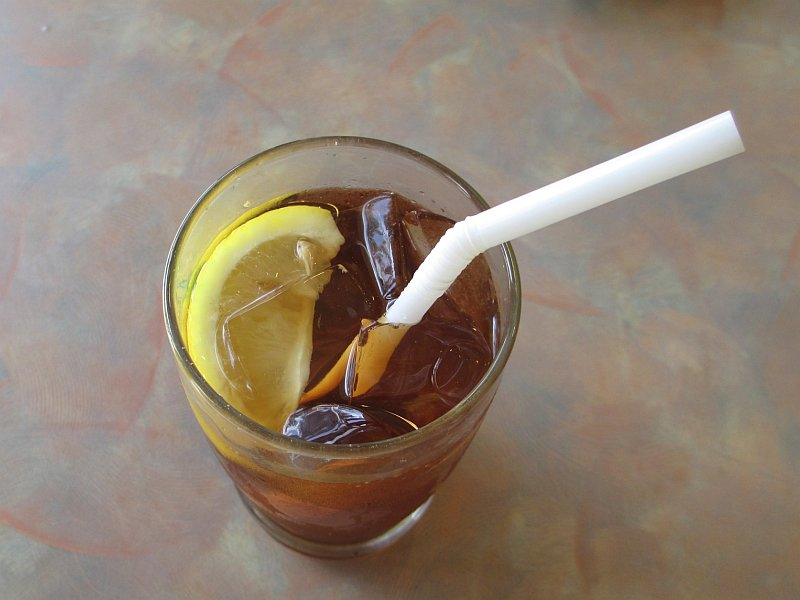 Given the fact that I’m the Crazy Tea Chick, it comes as no surprise that I’m constantly in a state of drinking tea – whether iced, hot, or somewhere in between. Lemon, added to ANY tea makes the experience all the better, but it’s ideal if you aren’t fond of the taste of green tea. The lemon perks it up and takes away the flavor that turns some people off. Before plopping a wedge or two or thirteen into your tea, sprinkle a little sugar on the lemon for a little extra decadence. It’s great with black tea, of course, but – again – if you’re trying to drink more green tea for its amazing health benefits, sugared lemons may be your secret weapon. Fresh lemon juice may also be the thing to help you fall in love with Matcha – one of the healthiest drinks you can enjoy. I LOVE a combination of lime juice and lemon juice in Matcha, with a little honey. Perfection. My husband’s favorite vegetable is asparagus, so you’d be absolutely correct if you said it was the first vegetable I obsessed over perfecting. Over the years, I’ve done just about every conceivable culinary thing with asparagus but his favorite (as well as my own) is roasted asparagus – either in an iron skillet or in the oven. Drizzle with three tablespoons olive oil (per bunch). 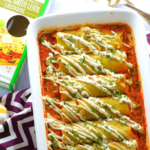 Don’t go with more because it’ll just make the asparagus soggy and that’s pretty gross. Sprinkle with salt (about a teaspoon) and black pepper (around 1/2 teaspoon). Optional: Add a minced clove of garlic (I almost always do so – unless the main course is garlicky, then I leave it out). 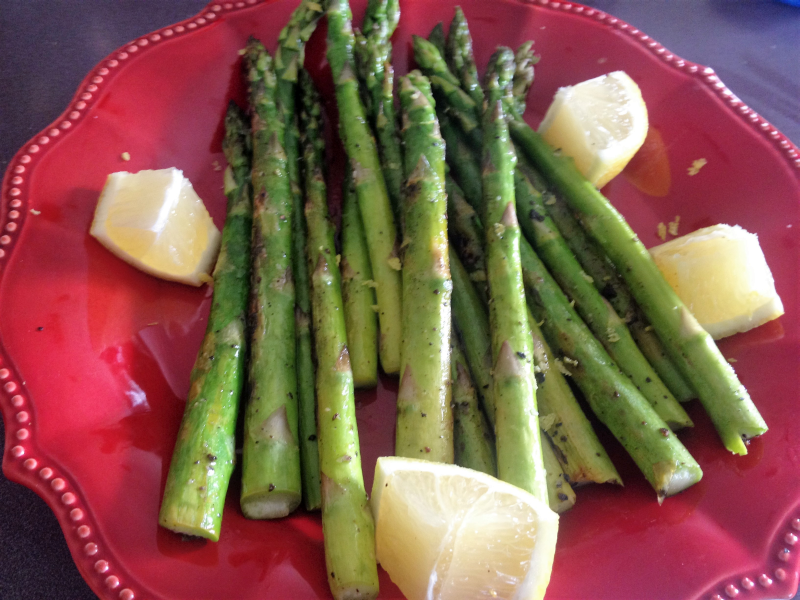 Arrange the asparagus in a single layer on a cookie sheet. Bake until it is JUST tender – usually around the 12 minute mark, but start checking at the 8 minute mark. This is really a matter of personal preference. Just be sure not to let it go too far – you want the asparagus to have some snap and personality left, after all. 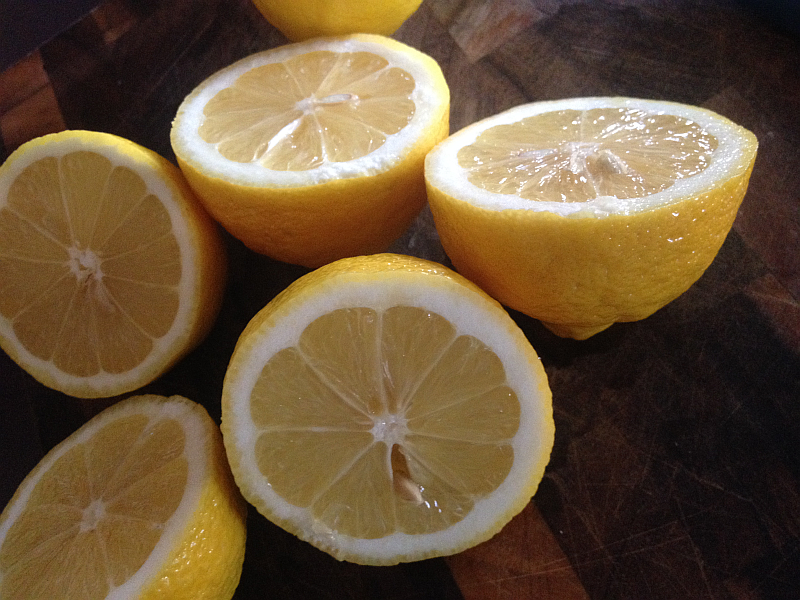 Sprinkle with freshly squeezed lemon just before serving and arrange a few extra slices around the plate or platter. If you’ve never made asparagus in an iron skillet, you have to give it a go. It’s phenomenal. “Trim” the asparagus as described above. Melt 2 tablespoons unsalted butter in an iron skillet on the stove. Place the asparagus in the butter and toss the spears around a little with a spatula – making sure each one is covered in butter all the way around. Cover and cook between 3-5 minutes on medium heat. Check at 3 to see if they’re how you like them – if they aren’t quite “there,” go a few minute more. Season with salt, pepper, and freshly squeezed lemon. Limoneira Company, a 124-year-old international agribusiness headquartered in Santa Paula, California, has grown to become one of the premier integrated agribusinesses in the world. Limoneira (pronounced lē mon΄âra) is a dedicated sustainability company with approximately 10,700 acres of rich agricultural lands, real estate properties and water rights in California and Arizona. The Company is a leading producer of lemons, avocados, oranges, specialty citrus and other crops that are enjoyed throughout the world. Every day is lemon day at Limoneira Ranch, but for everyone else who doesn’t live on a citrus farm, there are several lemon dessert days throughout the year to look forward to celebrating! Delicious, classic, light and airy, a lemon chiffon cake is a perfect way to welcome spring time and Easter. A Limoneira favorite recipe features a creamy lemon curd filling and a balanced whipped cream frosting. Both sweet and tart, there are many ways to interpret lemon meringue. It can be a pie, cookies, tarts, cheesecakes and more, but one of Limoneira’s favorite ways to enjoy lemon meringue is in the form of homemade ice cream! Lemonade day is a great way to get creative with kids! 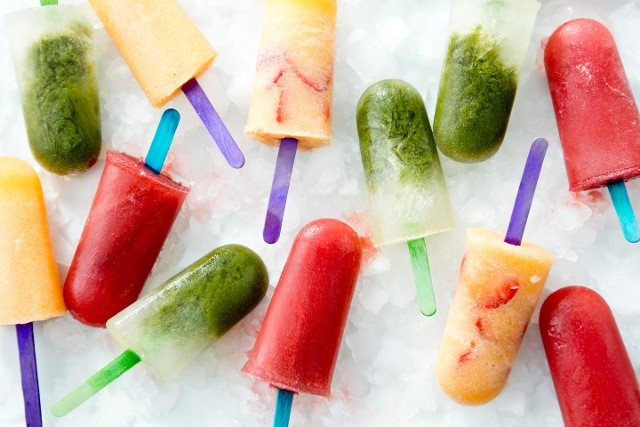 This cool, refreshing summer treat is easy to make and remake with different combinations of fruit. 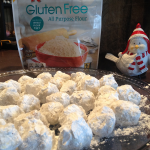 Create your own recipe or find some inspiration online! Rich, smooth and bursting with lemony goodness, lemon crème pies are easy to make and can be prepared with just a few, simple ingredients. On lemon cupcake day, create and enjoy as many varieties of delightful, beautiful and bright lemon cupcakes as you care for! A few of Limoneira’s favorite cupcakes include limoncello cupcakes, honey lemon cupcakes, and the classic lemon cupcake with vanilla buttercream frosting. 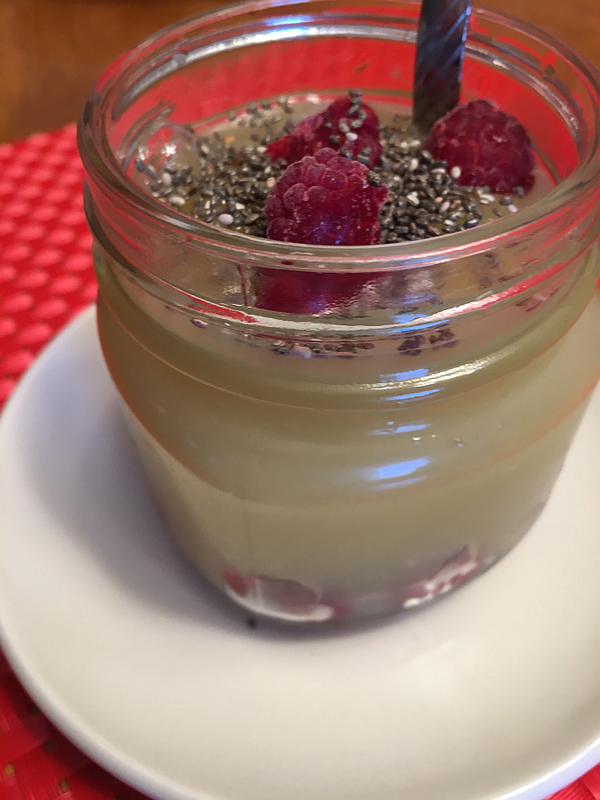 To view a great collection of Limoneira’s favorite lemony dessert recipes, visit their Pinterest page! For more about Limoneira Company, visit www.limoneira.com. The beautiful recipe below is from Mary McCartney, daughter of Paul McCartney. It appeared in the Saturday Evening Post and is reprinted here (with permission). 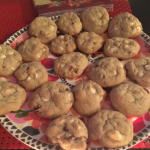 In the Health and Family section of the Post’s website, you’ll find more recipes. Be sure to check out the Granola Fruit Squares recipe – it looks delicious! I love recipes that call for ingredients that are easily accessible and this one certainly fits that description. I’m also wild about it for another reason – it’s a perfect Autumn dessert and Autumn and I have a thing going… we have for some time. Like forever. I’m crazy about everything that has to do with autumn – the sights, scents, sounds, and especially the food. Recipes like this Crumble make autumn EVEN more beautiful. It’d be as ideal for Christmas Eve or Christmas as it would Thanksgiving or… I dunno… tonight?! You can serve this crumble with ice cream, whipped topping, or simply by its glorious self. Cut sliced plums and pears into bite-sized pieces and put them into a medium baking dish (about 10 inches). 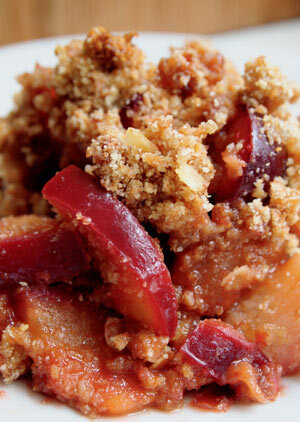 Sprinkle the brown sugar and the cinnamon evenly over fruit and stir together well. To make the crumble, put flour, oats, ground almonds, and brown sugar into medium mixing bowl. Then add butter and gently rub these ingredients together using your fingertips, until mixture resembles coarse breadcrumbs. Scatter crumble evenly over prepared fruit in baking dish. Bake for 45 minutes, until topping is golden and crisp, and serve warm or at room temperature. 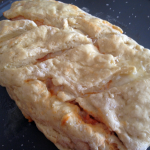 Many thanks to the Saturday Evening Post for sharing this recipe and photo with our readers! All you taste is the fruit in Smucker’s Natural Fruit Spreads, and that’s the whole(some) idea! First of all, I apologize for the sparse updates lately. My garden has been particularly needy the past few weeks. If I stood in place for any length of time, I’m certain I could watch weeds grow right in front of me. Why is it THEY grow so incredibly fast and everything else takes so long?! I think I’ve gained on the bothersome little suckers, though, so it’s back to business as usual. I told you not long ago (before my garden kidnapped me) that I’ve fallen in love with quite a few healthy foods lately. 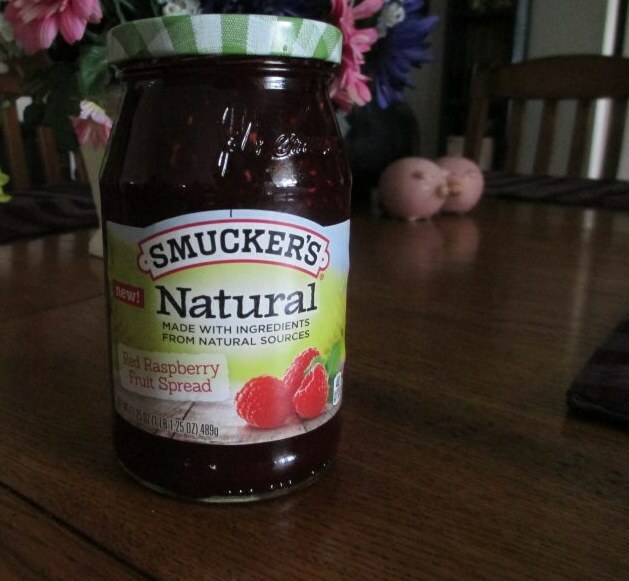 One of the ones I’m most infatuated with – and wondering how I ever lived without it – is Smucker’s Natural Fruit Spreads. Whether it’s toast, Sourdough Bread, cornbread muffins, Peanut Butter and Jelly sandwiches, or Thumbprint Cookies, Smucker’s Natural fruit spreads make everything twice as good as it normally would be. Heck, maybe three times as good. Which one’s my favorite? The one I happen to have in front of me! Seriously, these are unlike any jam, jelly, or preserves you’ve ever had. All you taste is the glorious fruit. I bought my first jar (Red Raspberry) a few months ago. I had made a few loaves of Sourdough Bread and wanted a spread worthy of the time that goes into Sourdough bread. When I saw the “Natural” line, I new I had to give it a try. Raspberry is a favorite flavor, so I grabbed a jar. When I tried it, I was floored. It tasted just like I’d taken raspberries fresh from the vine, lightly sweetened them to bring out the flavor, and then spread them right onto the bread. The flavor is absolutely fresh and absolutely beautiful. I ran for the other flavors the next day. My store didn’t have the Orange Marmalade, but I’m dying to try it. I grabbed the strawberry and grape – PLUS another jar of the Raspberry (you can never be too safe). I was the most shocked by the Concord Grape, simply because most grape jellies, jams, and preserves don’t have that unmistakable, amazing flavor of concord grapes. We all just kind of get used to the attempts made in our jams and jellies and go on about our business. In a delicious turn of events, however, Smucker’s Natural Concord Grape Fruit Spread reminds us how anything carrying the name “Concord Grape” should taste. In a word: Amazing. The Strawberry (like the raspberry) tasted like I’d spread fresh fruit across the bread. Ridiculously delicious. I’m going to make a special trip to the store today to see if they have the Orange Marmalade yet. If they do, I’ll let you know about it. I can only imagine how amazing it’ll be! 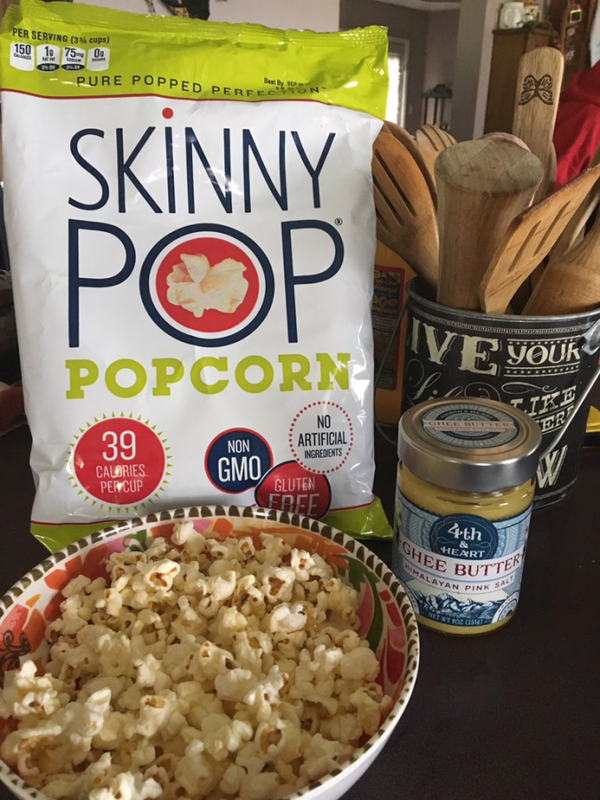 Click through any of the flavors above for nutritional information and, whatever you do, grab a few jars on your next trip to the store. You’re going to LOVE these fruit spreads. Also See: Great Smucker’s Recipes (chicken, desserts, salads….). CAN NOT wait to try the Grilled Huli Huli Chicken. I’ve loved apples with wild and reckless abandonment since I had enough teeth to bite them. Actually, I must have been an apple fanatic when even before my teeth came in. My mom once told me that my favorite baby food was applesauce. Somehow I’m not surprised. Apples simply do it for me, and apparently they always have. When I was contacted with an opportunity to sample a new apple (Lady Alice – is that a beautiful name or what?) for a review on my food blog, I jumped at the chance. Then I watched for the delivery with the same level of intensity of a hawk. Lady Alice apples are, if we’re being completely honest, the best apples I’ve ever had. They are everything you want from an apple, and then some. My husband also declared it the best apple he’s ever had and, trust me, we have both had our fair share of apples. The Lady Alice brand apple was discovered as a chance seedling near Gleed, Washington. While cultivating the neglected orchard soil in 1979, a plow disc hit the base of a Red Delicious tree injuring its trunk. The damaged tree sent out a new shoot. The new shoot had a decidedly different appearance from the rest of the tree so it was allowed to grow and bear fruit. Since the new tree was discovered in an orchard with many different varieties of fruit trees scattered throughout, its parentage is unknown. Over the next 25 years steps were taken to preserve and propagate the new variety. As with the first generation, all subsequent generations exhibited the same characteristics observed in the original tree. 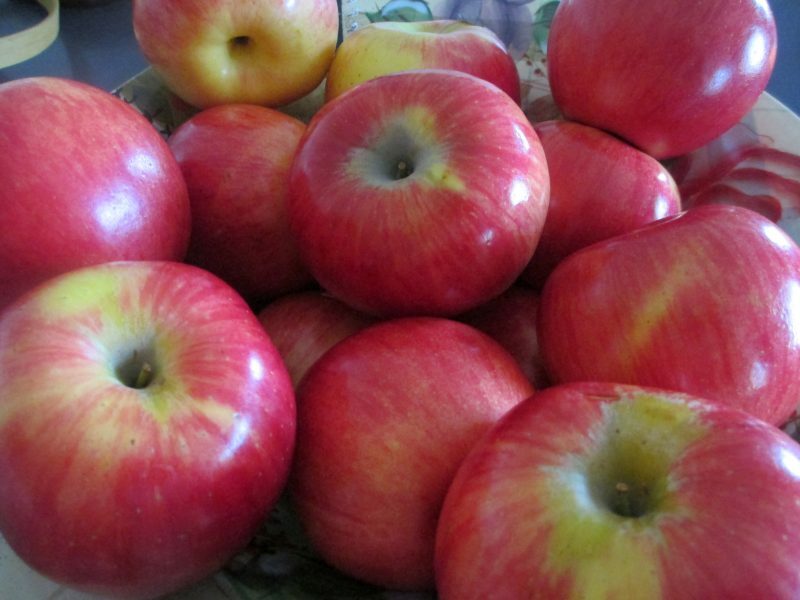 Rainier Fruit is the exclusive marketer of Lady Alice apples from Washington State. Lady Alice has a bright pink stripe over a creamy-yellow background that deepens to a banana-yellow after harvest. Lady Alice holds its texture when baking. It is slow to brown after cutting which makes it excellent for eating fresh, cutting into salads or serving on fruit trays. This is an excellent all-purpose apple. Its heirloom dense flesh is sweet with a hint of tartness that lingers on the palate. I’ve used Lady Alice in a lot of smoothies. I’ve made green smoothies with it as well as good old fashioned, delicious fruit smoothies. Bananas are a mainstay in the green smoothies and fruit smoothies I make because it provides a great creamy consistency. I found that Lady Alice apples can be substituted for bananas to change things up. They also compliment bananas beautifully. I also added a cut up Lady Alice apple to my chocolate Slim Fast shake for extra creaminess, flavor, and nutritional punch. 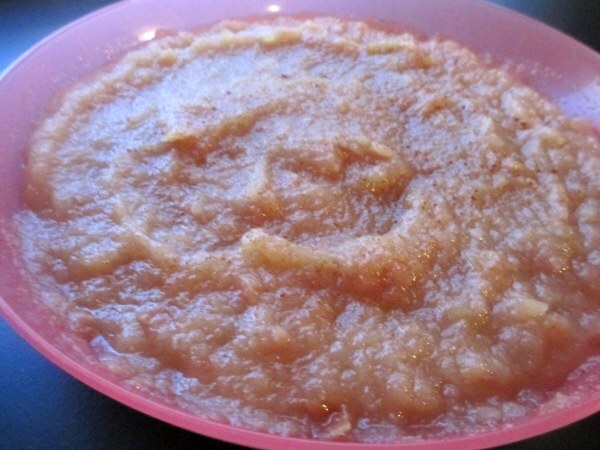 Lady Alice apples are also PERFECT for making homemade applesauce (pictured above). I left the skins on because I wanted the reddish tinge. If you peel them, you’d have the more traditional applesauce look. They made amazing applesauce. I used the applesauce recipe found on the Nutri-Bullet blog. These sweet apples have the perfect amount of crunch – they’re far from mushy but biting into them requires zero effort. I’ve also found other ways to work Lady Alice apples into our day for healthy and delicious snacks. In the picture below, you’ll see a few of my favorite co-stars for Lady Alice Apples. 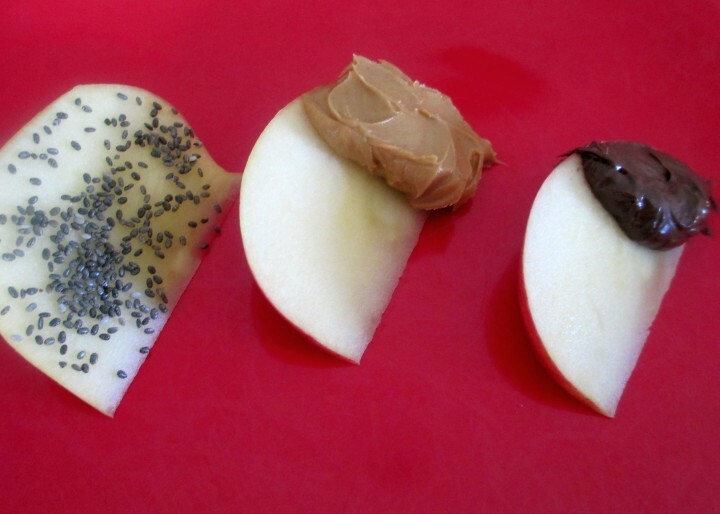 I slice up a Lady Alice apple and add other healthy choices such as (from left to right): Chia Seeds, Peanut Butter, and Jif Hazelnut Spread (similar to Nutella but with even more of an amazing Hazelnut flavor). 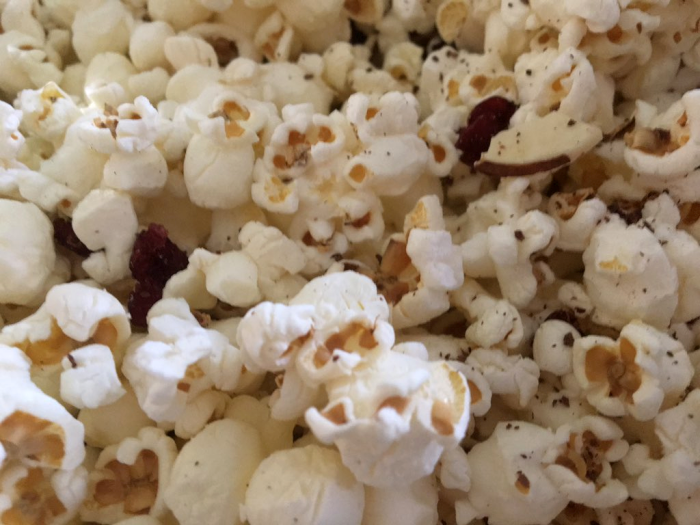 The Chia seeds cling beautifully and, in my opinion anyway, make a darn cute snack. Lady Alice apples can be found in grocery stores around the country. 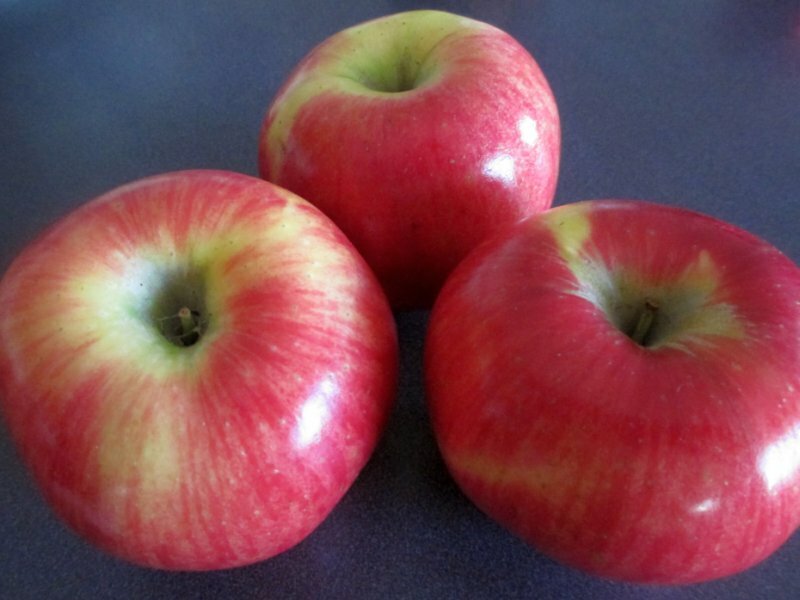 Visit the Rainier Fruit website for more information on Lady Alice apples as well as a variety of other fruits. I love to embrace whatever season we happen to be in the middle of with colors and flavors. I always have seasonally-appropriate napkins, decorations, candles, etc. Sort of a “don’t just live in the moment, embrace the moment” type thing. I also like for my food and drinks to reflect the colors and scheme of things. Yes, as a matter of fact, I do think too much, how could you tell? 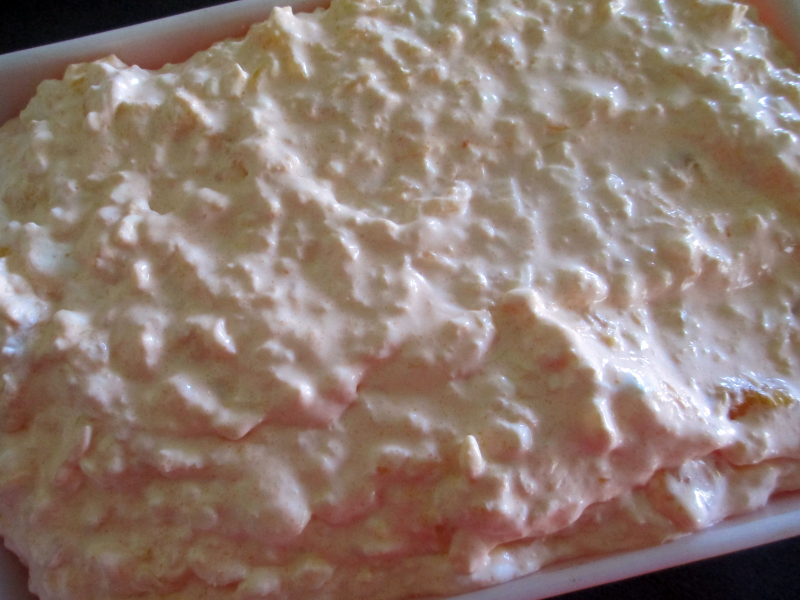 The Mandarin Orange Salad recipe here is a favorite for several times of year. I love it in Autumn because of the gorgeous orange color (you could even add a few drops of orange food coloring to make it even more orange for Halloween, Thanksgiving, Syracuse football games…). It’s also great in Summer because it’s obviously quick and easy to make and cool and refreshing to eat. Around Christmas, you can replace the mandarin oranges with a drained jar of cherries and replace the orange jello with cherry. Gorgeous. This beautiful salad is as delicious as it looks! 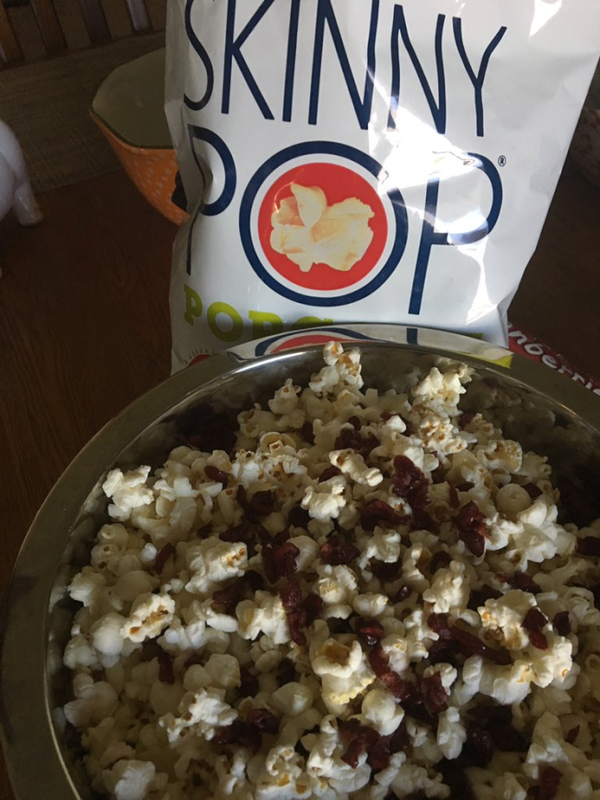 Simply mix the ingredients together and chill. Kitchen Gadget of the Day: If You Love Lemons and Limes, You’ll Want a Lemon and Lime Saver! My youngest daughter, Stephany, is a lemon and lime lover like none I’ve ever seen. My husband throws them with reckless abandon into his Ginger Ale and tea and my son-in-law “Dill” can eat a bag of lemons in one setting (as long as he has a tub of salt). Steph is in a league of her own, though. She can cut up and eat a plate of lemon and lime slices at any given time of the day and doesn’t even salt the sour little guys. Makes my face pinch up just thinking about it! I was browsing around Amazon’s website earlier – something I can be found doing many times throughout the day and night. I was actually looking for a Berry Keeper (which I found) because I eat A LOT of berries and need a better way to keep them fresh and make them last a little longer. After I found just the berry keeper I was looking for, I noticed a link to the lovely little Hutzler 58 Lemon / Lime Saver , shown above. I immediately thought, “Steph!” These are so cute and can keep lemons and limes from going bad and looking a fright. Keep cut lemons and limes fresh and fragrant in a specially designed storage container that will prolong the life of cut citrus. Makes a great conversation piece at the bar. Made of bright and colorful plastic, the 2 sides attach by twist lock. Also great for serving cut lemons and limes at the table. Airtight and dishwasher safe. Item is sold individuality. Product color may vary Item is available in either yellow (lemon) or green (lime). See Hutzler 58 Lemon / Lime Saver for more information! As you might imagine, I do a great deal of cooking. While I love to wing it, creating my own concoctions, I love trying out new recipes even more. 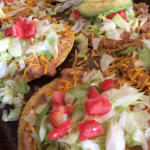 It’s fun to tinker with recipes I’ve found and see what new things I can come up with – but there are a lot of recipes that need no tinkering whatsoever. Some chefs and celebrity cooks come up with recipes where I’m convinced tinkering around would be sinful. Because I try out so many different cookbooks and recipes, I do consider myself an expert when it comes to household celebrity chefs and cooks. Someone can mention a name and I’m able to tell them to trust most of their recipes, some of their recipes, or none of their recipes. Then there’s the select group when I simply say, “Get your hands on every recipe carrying their name. Make each of these recipes. Don’t change a thing.” Oddly enough, this select group isn’t made up of very many. However, Giada De Laurentiis is firmly on the list and has been for quite a few years. Every single recipe this woman comes up with is 100 percent perfection. The cat food/birdseed aisles. With 4 cats and a yard constantly filled with birds, it’s little wonder I always make a beeline to these aisles. The Starbucks in the front of our local Target. Thank you, Target, Thank you very much. The cooking and kitchen aisle. Target has the most beautiful dishes! They’ll often have great sales, too, in addition to their regularly low prices. However, before any of these stops, my first stop is ALWAYS the Giada De Laurentiss aisle. I’d faint dead away if they ever put out a new product with her smiling face on the front and I wasn’t the first to buy it. Dead away. 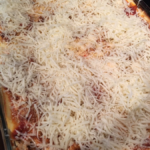 Basically, if you see the name Giada De Laurentiis on anything (recipe, cookbook, Lasagna dish, spatula, magazine…), you’d be crazy not to add it to your arsenal. 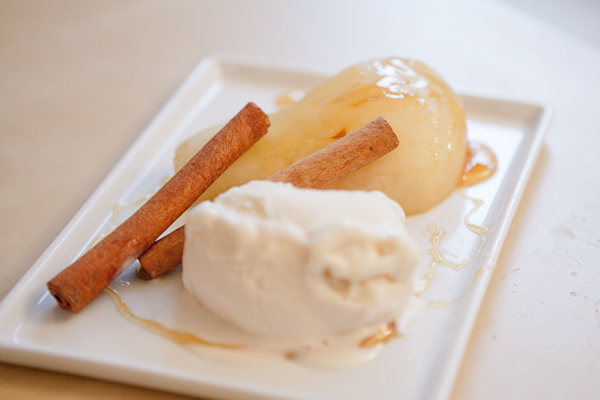 Below is a beautifully delicious and deliciously beautiful recipe for Poached Pears from Giada De Laurentiis. It’s shared with my readers courtesy of Target’s A Bullesye View.